We'd love to hear what you think about our products. See how you could win a $100 Prize Pack*! We love to hear what you think! 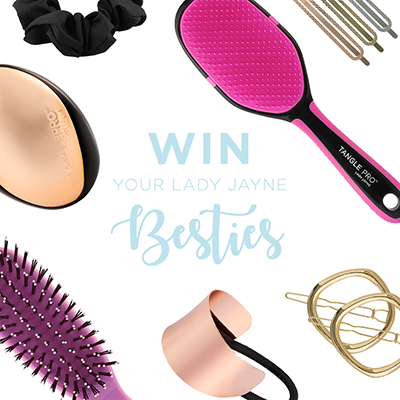 Share your thoughts on the Lady Jayne products you have tried and you’ll not only help others find the best beauty tools and accessories but you could also win an amazing prize pack valued at over $100. We have a prize pack for Lady Jayne to give away every month. So start sharing your thoughts now! Search for or choose the product you would like to review. Scroll down to the review section, write your review and submit. You will automatically be entered into the monthly competition. We’ll email the winner and post an announcement on Facebook. 1. Information on how to enter and prizes form part of these Terms & Conditions of Entry. Participation in this promotion is deemed acceptance of these Terms & Conditions of Entry. 2. Entry is only open to Australian residents aged 18 years and over. Employees and the immediate families of the Promoter and its agencies associated with this promotion are ineligible. Immediate family means any of the following: spouse, ex-spouse, de-facto spouse, child or step-child (whether natural or by adoption), parent, step-parent, grandparent, step-grandparent, uncle, aunt, niece, nephew, brother, sister, step-brother, step-sister or 1st cousin. 3. The Promoter reserves the right to verify the validity of entries and to disqualify any entrant who tampers with the entry process or who submits an entry that is not in accordance with these Terms & Conditions of Entry. If there is a dispute as to the identity of an entrant, the Promoter reserves the right, in its sole discretion, to determine the identity of the entrant and exclude from the competition if deemed appropriate. Errors and omissions may be accepted at the Promoter's discretion. Failure by the Promoter to enforce any of its rights at any stage does not constitute a waiver of those rights. 4. The promoter accepts no responsibility accepted for late, lost or misdirected entries. 5. The promotion consists of monthly giveaways. The promotional period commences on 01/12/2018 at 7.30PM AEST and will run until 11.59PM AEST 31/05/2019 (the Promotion Period). Each month, the judging will close on the last day of the month and winners will be announced within the first week of the following month. 6. The judging will be conducted at 1/378 High Street, Preston VIC 3072. Winners will be notified via email and announced on Facebook. Judges' decision is final and no correspondence will be entered into. 7. To enter, participants must submit a product review via ladyjayne.com.au. To submit a review, search for or choose the product you would like to review. Scroll down to the review section, write your review and submit. You will automatically be entered into the monthly competition. We will sail the winner and post an announcement on Facebook. This competition is a game of skill and entries will be judged by the Promoter based on quality and creative merit. 8. Entrants guarantee on submission that the contents of the comment(s) will not be obscene or defamatory. 9. By entering, the entrant or entrants agree that Lady Jayne Hair may use entry materials for any promotional purposes. This may include but is not exclusive to placing your entry on Lady Jayne’s Facebook, Instagram and website. For any content that you submit, you grant McPherson's Consumer Products Pty Ltd a perpetual, irrevocable, royalty-free, transferable right and license to use, copy, modify, delete in its entirety, adapt, publish, translate, create derivative works from and/or sell and/or distribute such content and/or incorporate such content into any form, medium or technology throughout the world without compensation to you. 10. There will be six (6) winners in total - one (1) x winner per month for a six (6) month period. 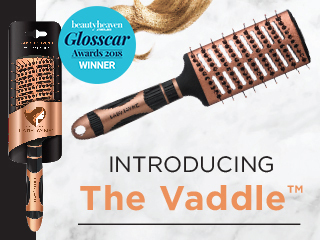 Winners will receive a prize pack containing: one (1) x Flexi-Glide Detangling Brush valued at $9.99 AUD RRP each, one (1) x Incredi-Ball Brush valued at $15.99 AUD RRP, one (1) x Smooth & Knotless Purse-sized valued at $11.99 AUD RRP, one (1) x Professional Medium Ceramic Radial Brush valued at $28.99 AUD RRP, one (1) x Bobby Pins 50pk (Brown, Blonde or Black) valued at $4,79 AUD RRP, one (1) x Snagless Elastics 18pk (Black, Blonde, Brown) valued at $6.98 AUD RRP, one (1) x Styleguards Clear Kink Free Spirals 8pk valued at $7.99 AUD RRP, one (1) x Large Metallic Double Bar Slides 3pk valued at $11.49 AUD RRP, And one (1) x Thick Round Barettes 2pk valued at $11.49 AUD RRP. Total prize pack valued at $109.70 AUD. 11. The total prize pool value is over $658.20 AUD. The promoter accepts no responsibility for any variation in the prize value. Prizes or any unused portion of a prize are not transferable or exchangeable and cannot be taken as cash. 12. The Prize will be sent to the winner at the delivery address provided via private message. Please allow for up to 28 working days for receipt of your Prize. The Promoter is not responsible for any prize that is lost during in transit or after delivery by Australia Post, associated couriers or any other parties. The Promoter recommends that entrants enter a mailing address that is known to be secure. The Promoter is not responsible for any Prize it is unable to send to the winner if the address given is incorrect. 13. In the event that a prize, or an element of a prize, is/are not available, the Promoter reserves the right to substitute prize(s) in its discretion to the same and equal recommended retail value and/or specification subject to any written directions from the various lottery Departments. Prizes will be sent within 45 days of the competition announcement. 14. If for any reason this competition is not capable of running as planned (including but not limited to) infection by computer virus, bugs, tampering, unauthorised intervention, fraud, technical failures or any other causes beyond the control of the Promoter which corrupts or affect the administration security, fairness, integrity or proper conduct of this competition, the Promoter reserves the right in its sole discretion cancel, terminate, defer, suspend or modify the competition, subject to any written directions given by the various Lottery Departments. 15. The Promoter is not responsible for any problems or technical malfunction of any telephone network or lines, computer online systems, servers, or providers, computer equipment, software, technical problems or traffic congestion on the Internet or at any web site, or any combination thereof, (including but not limited to) any injury or damage to participants or any other person's computer related to or resulting from participation in or downloading any materials in this competition. 16. Any costs associated with accessing the Internet are the entrant's responsibility and is dependent on the Internet service provider used. 17. The Promoter shall not be liable for any loss or damage whatsoever which is suffered (including but not limited to indirect or consequential loss) or for personal injury which is suffered or sustained, as a result of participating in this promotion or accepting any of the prizes, except for any liability which cannot be excluded by law. 18. In the event of war, terrorism, state of emergency or disaster the Promoter reserves the right to cancel, terminate, modify or suspend the promotion. 19. The Promoter shall not be liable for any prizes/merchandise that has been lost, stolen, forged, damaged or tampered with in any way. 20. All entries are deemed to be received at the time of receipt into the promotional database and not at the time of transmission by the entrant. 22. Entrants consent to the Promoter using the entrant's name, likeness, image and/or voice in the event they are a winner (incl. photograph, film and/or recording of the same) in any media for an unlimited period of time without remuneration for the purpose of promoting this competition (including any outcome), and promoting any products manufactured, distributed and/or supplied by the Promoter. 23. The Promoter reserves the right to request winners to provide proof of age, identity and residency at the nominated prize delivery address. Identification considered suitable for verification is at the discretion of the Promoter. 24. The Promoter is McPherson's Consumer Products Ltd, 105 Vanessa Street Kingsgrove,NSW 2208, ACN 000 020 495. 25. This promotion is in no way sponsored, endorsed or administered by, or associated with, Facebook or Instagram. Entrants understand that they are providing their information to the Promoter and not to Facebook or Instagram. Any questions, comments or complaints regarding the promotion must be directed to McPherson's Consumer Products Ltd, 105 Vanessa Street Kingsgrove, NSW 2208, ACN 000 020 495, not to Facebook or Instagram. The information you provide will only be used in the ways outlined in these Terms and Conditions.